Today, government does not spend our money. They borrow it then make us pay the interest through the IRS. 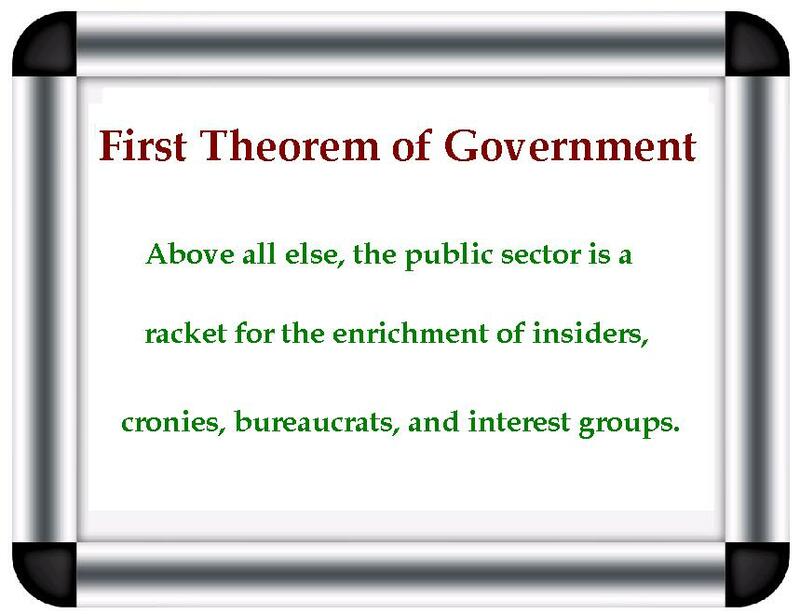 I completely agree that venal, corrupt, wasteful, incompetent, and bullying government [bureaucrats are found] at the federal, state, and local level(s). I fail to understand how block grants to the states are a viable replacement for federal welfare. If you’re planning to create a trillion dollar pie, don’t you think there is more than a slight chance that bureaucrats will carve off a slice for themselves at every step of the way. Which is a better approach, one big pie or a basic income going direct to citizens regardless of income, in lieu of a standard deduction tied to a flat tax? You get rid of corruption and dis-incentives, while assuring enough political support to pass a true flat tax on all earned income. 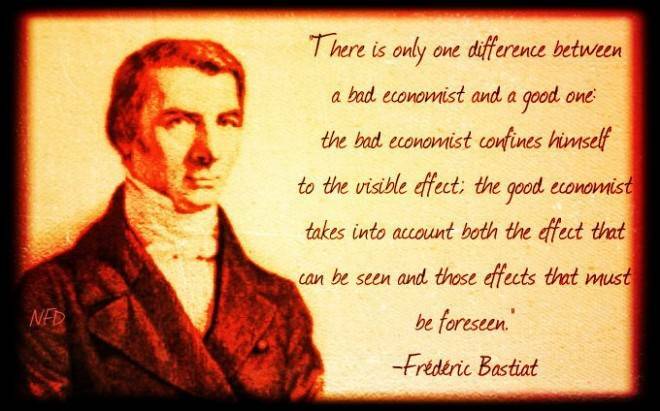 Bastiat favored little or no government, so of course, he criticized government.